In many regards, the field of medicine for sleep disorders can be considered as a branch of medicine in its infancy, in large part due to the relatively recent ready availability of polysomnography (an electrographic tool, which is now recognized as the standard method for analyzing sleep). As such, many important sleep-related phenomena, including the relationship that exists between sleep and stroke, have only just recently been identified. Through the utilization of polysomnographic studies and scientific methodology, there is now an evidence to support the hypothesis that untreated obstructive sleep apnea (OSA) is a significant risk factor for the development of ischemic stroke. Laboratory studies have shown that sleep-related obstructive respiratory events can lead to hypoxemia and hypercapnia and elevations in sympathetic and parasympathetic activity, resulting in significant variations in blood pressure, tachycardia–bradycardia, and even asystole. Termination of untreated OSA-related events is largely dependent upon the arousal response. Some experts hypothesize that a dysfunctional arousal system in a select population of patients with OSA may set the stage for a potential cause-and-effect relationship between untreated OSA and not only stroke but also cardiac dysrhythmias and even death. Dyken ME, Im KB. Gilman S, eds. Sleep disorders associated with dementia. MedLink Neurology. SanDiego: MedLink Corporation. http://www.medlink.com/. Accessed 11 October 2010. Roger VL, Go AS, Lloyd-Jones D, et al. Heart Disease and Stroke Statistics—2012 Update: A Report From the American Heart Association (Available: http://circ.ahajournals.org/content/early/2011/12/15/CIR.0b013e31823ac046). Accessed 17 Dec 2010. Berry RB, Brooks R, Gamaldo CE, et al. For the American Academy of Sleep Medicine. 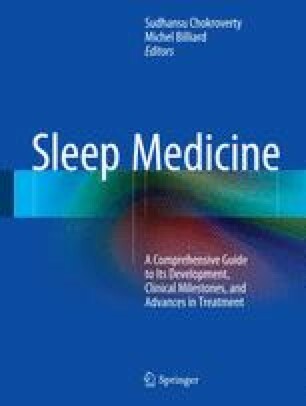 The AASM Manual for the Scoring of Sleep and Associated Events: Rules, Terminology and Technical Specifications, Version 2.0. www.aasmnet.org, Darien: American Academy of Sleep Medicine; 2012.